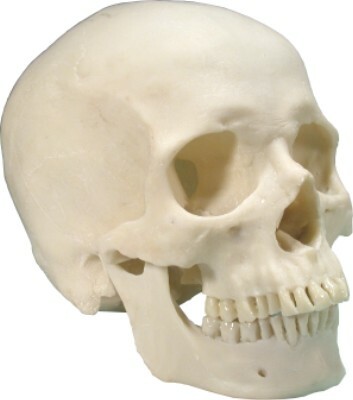 Approximately 8 inches tall, this medical replica skull is very detailed. It's an off white color, but could be painted to a more bone like finish. We use one as a paperweight and door stop.